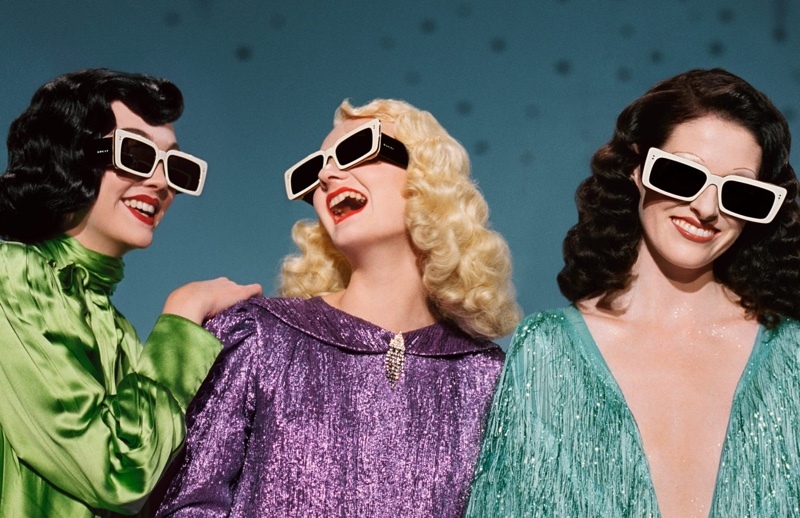 Celebrating the world of cinema, Italian fashion house Gucci goes Old Hollywood for its Spring/Summer 2019 Campaign. 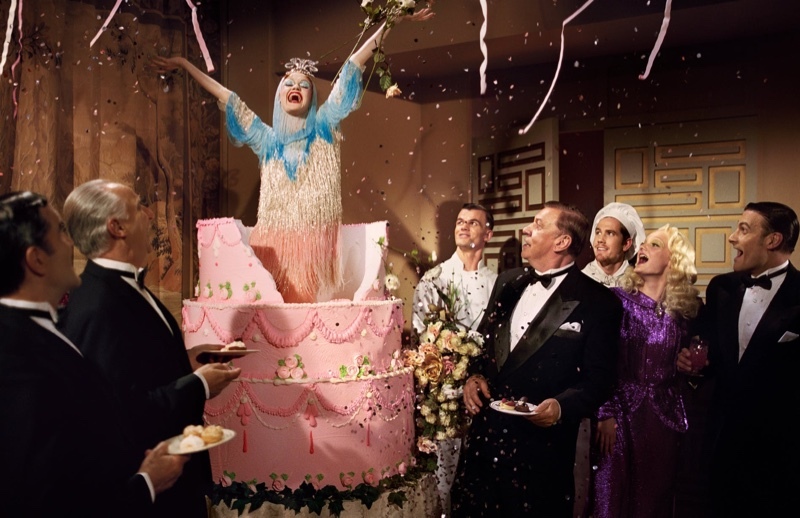 Presenting the glamorous 1940's and 1950's era of film, photographer Glen Luchford gives impressive shots of photography. 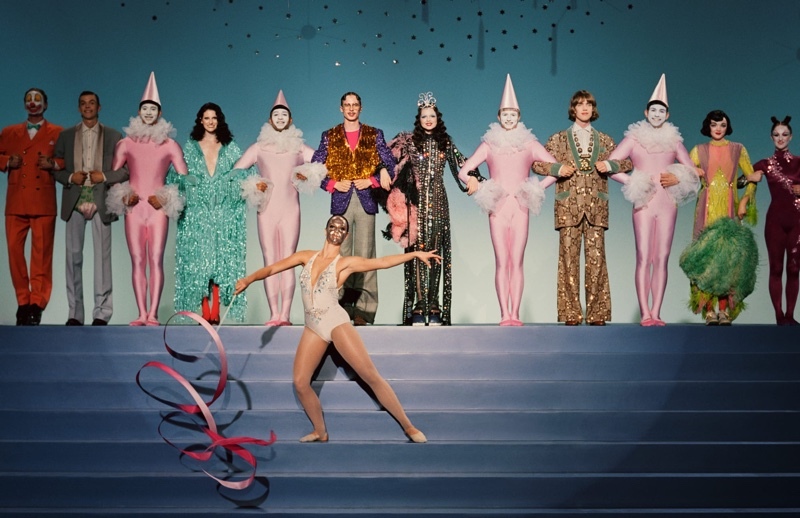 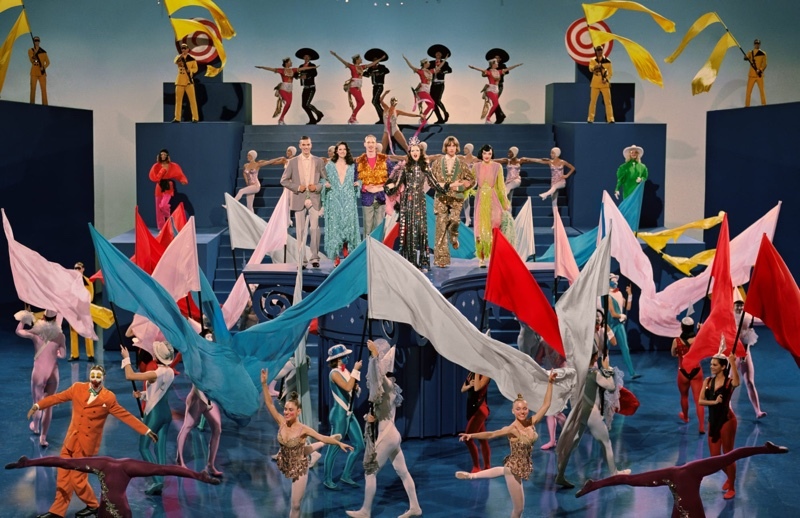 Serving inspiration for the campaign are films including 'An American in Paris', 'The Band Wagon' and 'Gentlemen Prefer Blondes'. 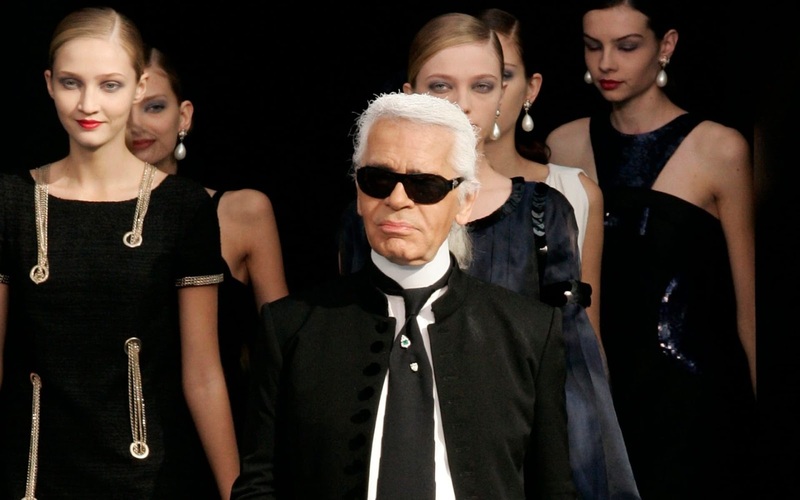 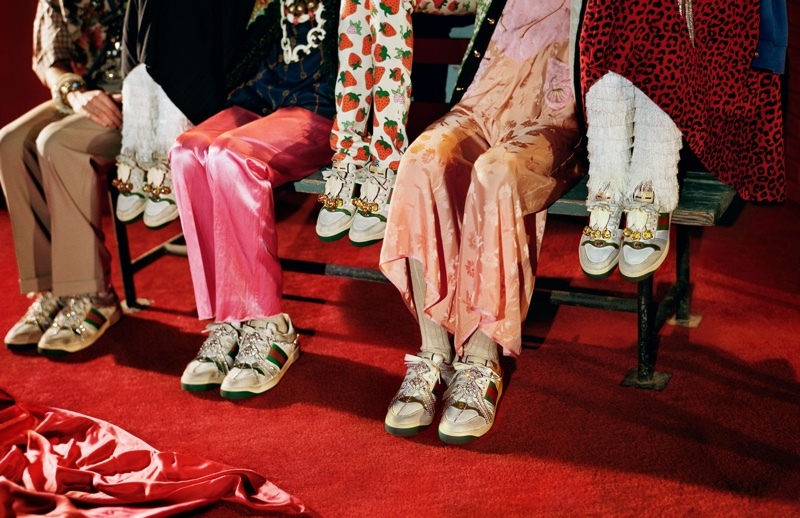 The glitzy and glamorous campaign has the models showing off Gucci's latest ensembles that are colourful and vivacious. 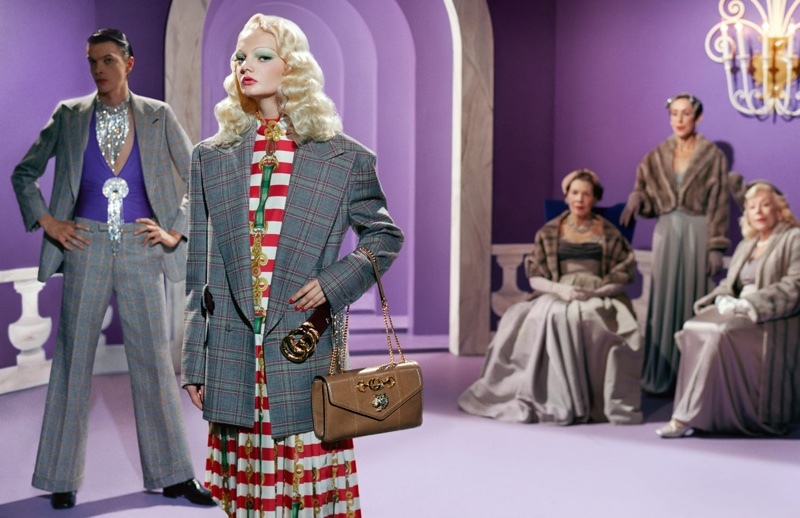 The designs of Alessandro Michele, including faux fur jackets, fringed dresses, sleek suits and eye-catching accessories are showcased to the tune of 'There's No Business Like Show Business', with art direction by Christopher Simmonds. 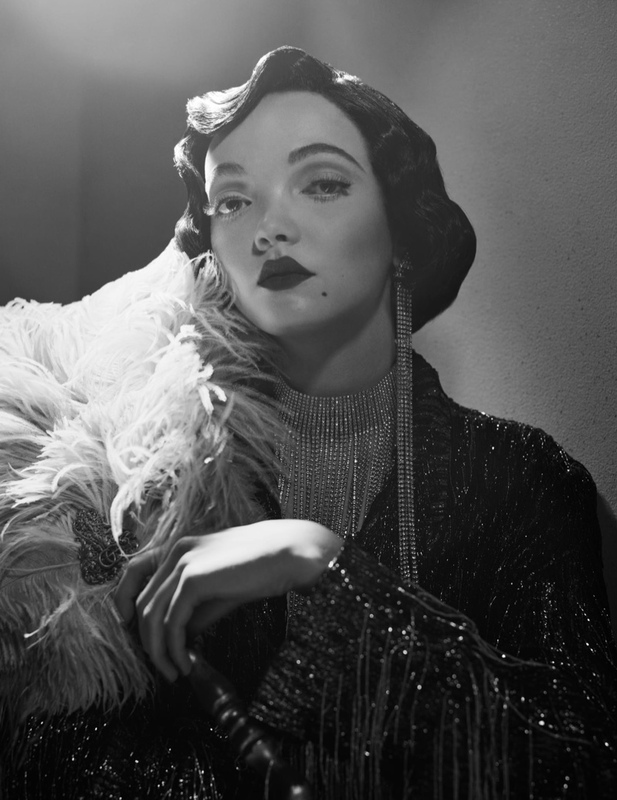 Paul Hanlon worked on hair with makeup by Isamaya Ffrench for the campaign which takes right back to the bygone era of cinema.